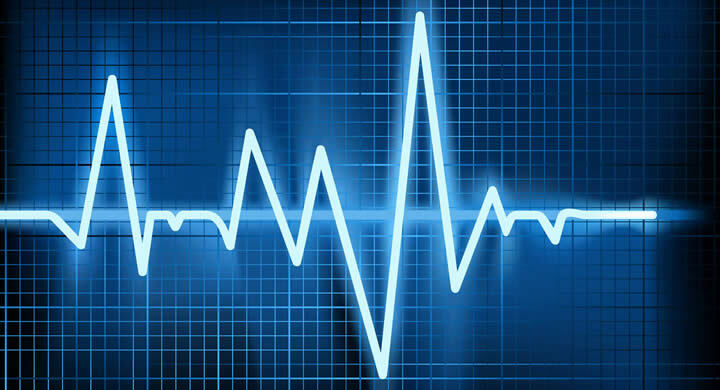 Atrial Fibrillation (AFib) is the most common source for abnormal heart rhythm, affecting 33.5 million people worldwide. AFib is caused by disorganized electrical signals, which make the heart’s two upper chambers -called the atria - to quiver, instead of contracting properly. There are numerous risk factors for developing AFib. A relatively new defined risk factor is Obstructive Sleep Apnea (OSA), and the understanding of the exact relationship of it to AFib is still evolving. It is estimated that 21-74% of AFib patients have OSA (exact percentile differs in dependence of OSA definition and the applied measuring technic). Conversely, patients with sleep apnea have around four times higher risk of developing AFib than control patients or the general population. A recently published review summarizes the current understanding on how OSA pathophysiology is associated with development of arrhythmogenic substrates, and on the ways in which OSA treatment helps AFib risk management. We present here some of the main reviewed findings. The repetitive obstructive respiratory events characterizing OSA, cause negative intrathoracic pressure swings which mostly affect the thin-walled atria, causing it to over-stretch. Such acute atrial dilation shortens atrial refractoriness, slows conduction, and increases the occurrence of intra-atrial conduction block. Moreover, the cyclical deoxygenation and reoxygenation associated with sleep apnea increase oxidative stress, contributing to the atrial myocardial damage. In addition to the atrial remodeling factors, the pronounced sympathovagal activation that occurs toward the end of an obstructive episode induces acute electrophysiological arrhythmogenic changes and an increased frequency of premature atrial contractions with the potential to initiate AFib. The progressive atrial structural remodeling, along with transient apnea-associated electrophysiological changes, contributes to the reentry substrate for AFib and creates a complex and dynamic arrhythmogenic substrate in the atrium. Importantly, other chronic comorbidities such as obesity and hypertension further increase AFib risk in OSA patients. As not all AFib patients show symptoms of OSA (e.g. daytime sleepiness), the general recommendation is to screen all AFib patients with a sleep study evaluation. However, it's important to notice that the Apnea Hypopnea Index (AHI) should not be the only derived index by which OSA is determined; In a cohort study of 3542 adults, the magnitude of nocturnal oxygen desaturation, but not the AHI, was shown to be an independent predictor of new-onset AFib. Thus, evaluating the hypoxemic burden, and not only the AHI, is crucial for successful AFib evaluation. Another factor that should be taken into account in the diagnosis process is screening not only for OSA, but also for Central Sleep Apnea (CSA). For example, in a study of 2911 participants, AFib was associated with CSA more than with OSA. Similarly, rhythm control by electrical cardioversion was not associate with changes in the absolute AHI scores but did have an association with reduced nocturnal central respiratory events and unmasked OSA. Nonetheless, the causal direction between AFib and CSA is not yet clear: the high proportion of central respiratory events may reflect the underlying cardiac disease, rather than representing a causal factor for AFib. The presence of OSA substantially reduces the efficacy of catheter-based and pharmacological antiarrhythmic therapy, and thus effectively treating OSA is crucial for AFib relief. CPAP, the gold-standard OSA treatment method, had been shown to be effective in AFib treatment. CPAP can help to maintain sinus rhythm in AFib-OSA patients and to reduce AFib recurrence after catheter-based AFib therapy. A recent meta-analysis revealed that patients with OSA not treated with CPAP have 57% greater risk of AFib compared to patients without OSA. However, since all the findings on CPAP efficiency in AFib are based on nonrandomized studies, and since CPAP use was only self-reported, the reviewers point to the incompleteness of the findings and suggest that more randomized prospective observations should be made before concluding on CPAP efficiency in AFib patients. Other OSA/CSA treatment interventions, such as ganglionated plexus ablation and renal sympathetic denervation, had been shown to attenuate AFib in a series of preclinical studies. Lifetime interventions that reduce OSA severity and risk such as weight control further contribute AFib ablation. Although, as mentioned by the reviewers, there is a need for more studies before finalizing the conclusions on the association between OSA and AFib, the professional societies already incorporate some of the current findings in their recent recommendations. The 2016 European Society of Cardiology guidelines on AFib recommends that consideration be given to elicited clinical symptoms and signs of OSA and CPAP treatment to reduce AFib recurrence and improve AFib treatment results. Similarly, The “2017 HRS/EHRA/ECAS/APHRS/SOLAECE Expert Consensus Statement on Catheter and Surgical Ablation of Atrial Fibrillation” mentions OSA as a relevant modifiable risk factor for AFib and recommends screening for signs and symptoms of OSA when evaluating a patient for an AFib ablation procedure. It also states that treatment of OSA can be useful for patients with AFib, including those who are being evaluated to undergo an AFib ablation procedure.